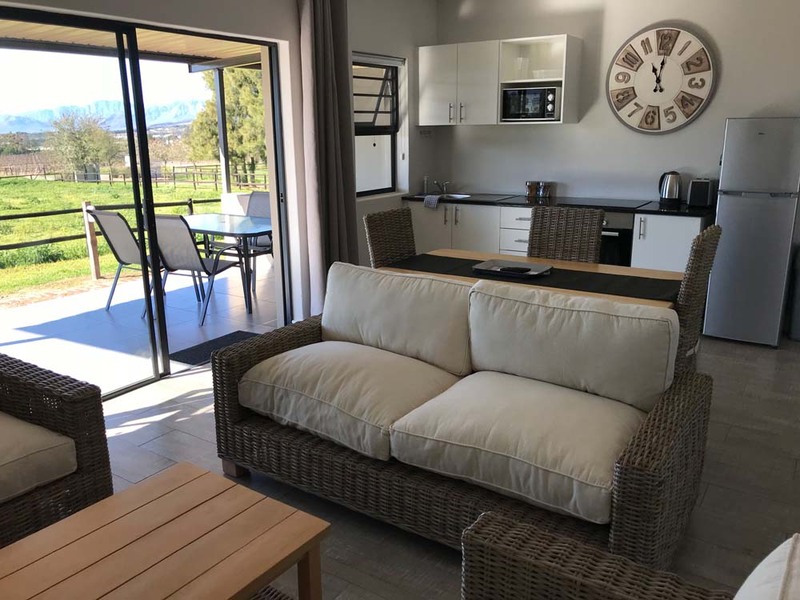 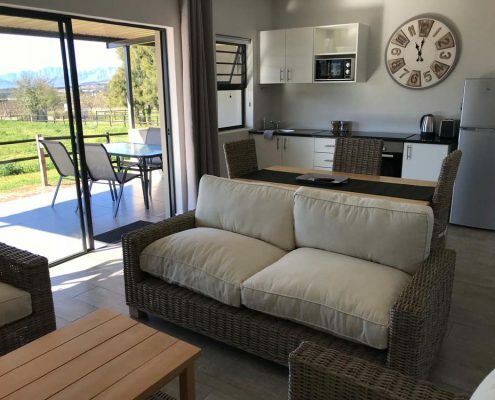 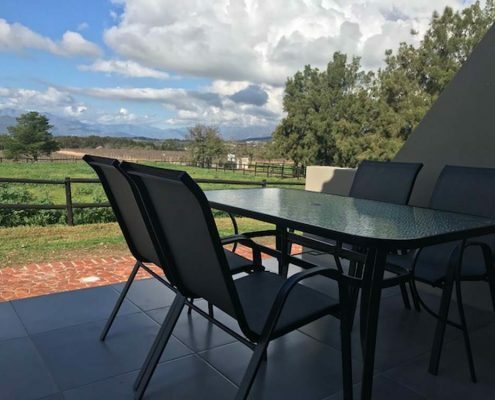 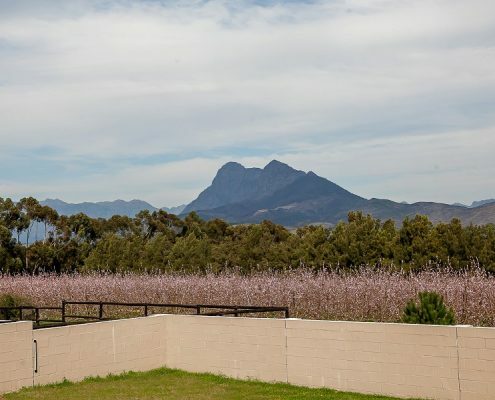 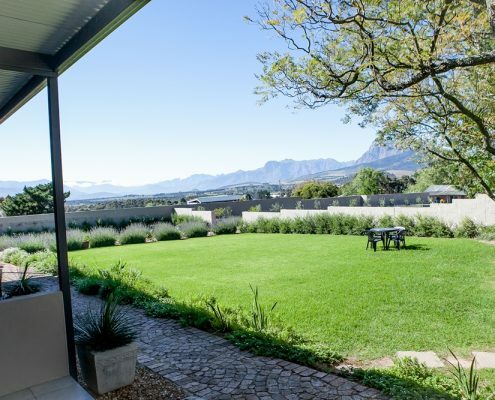 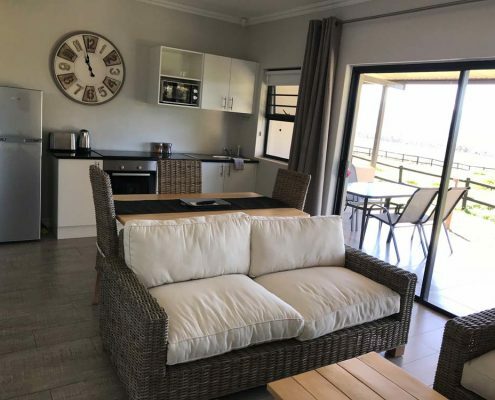 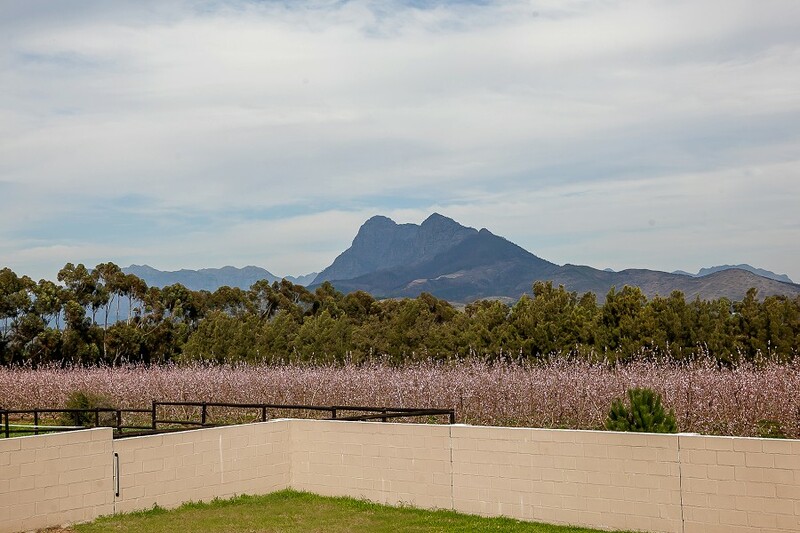 Bona Vista offers 11 self-catering, en-suite rooms and 2 two-bedroomed self-catering cottages within a farm environment, just 10 kms from Paarl and 15 km from Stellenbosch. 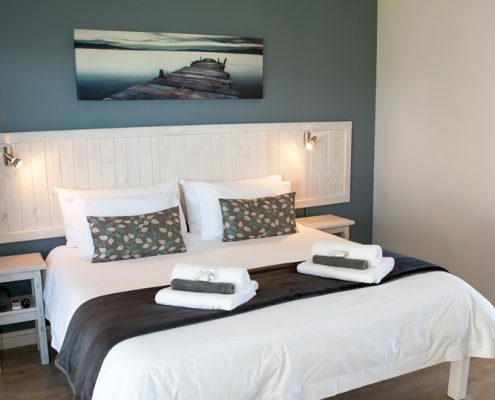 The rooms are Twin/King bedded with a private covered patio area. 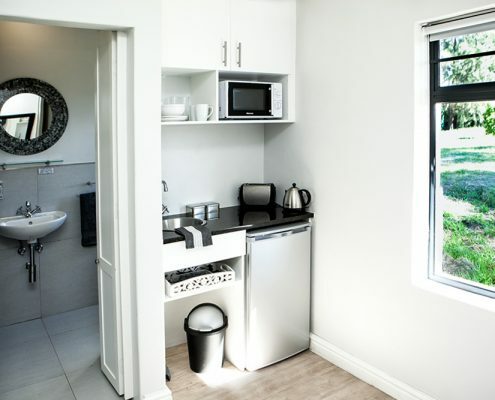 Each room has a shower/toilet en suite. 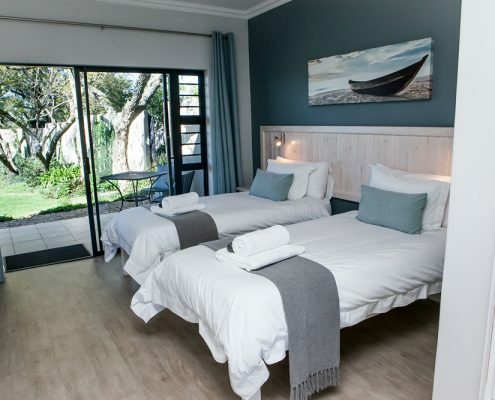 Rooms are equiped with hairdryers, aircons, free WI-FI and DSTV(hotel package). 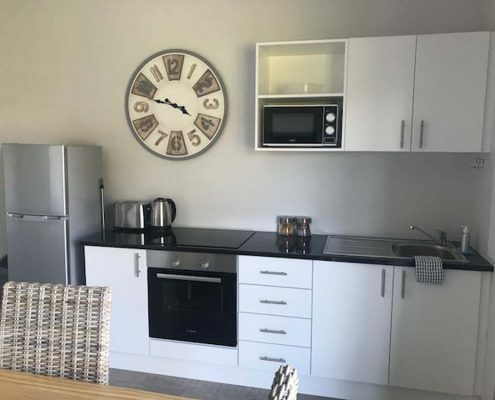 The kitchenette area contains a fridge, microwave, wash-up basin, kettle, toaster,electric frying pan, crockery and cutlery. 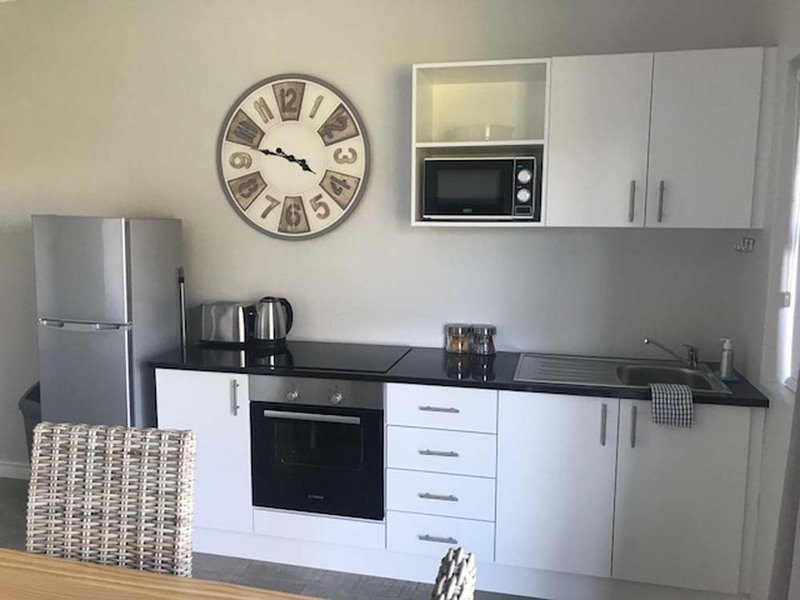 Both cottages are equipped with a fridge, stove and oven, microwave, wash-up basin, kettle, toaster,electric frying pan, crockery and cutlery. 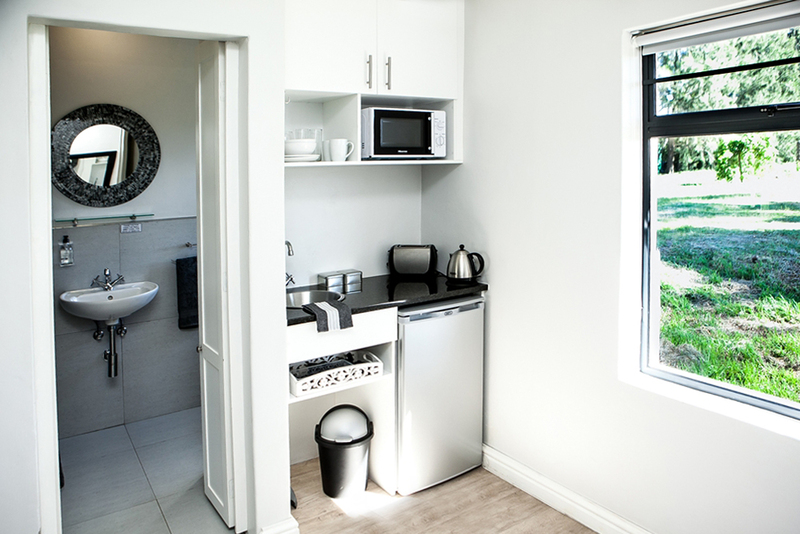 Each have a sitting area with free WI-FI and DSTV (hotel package). 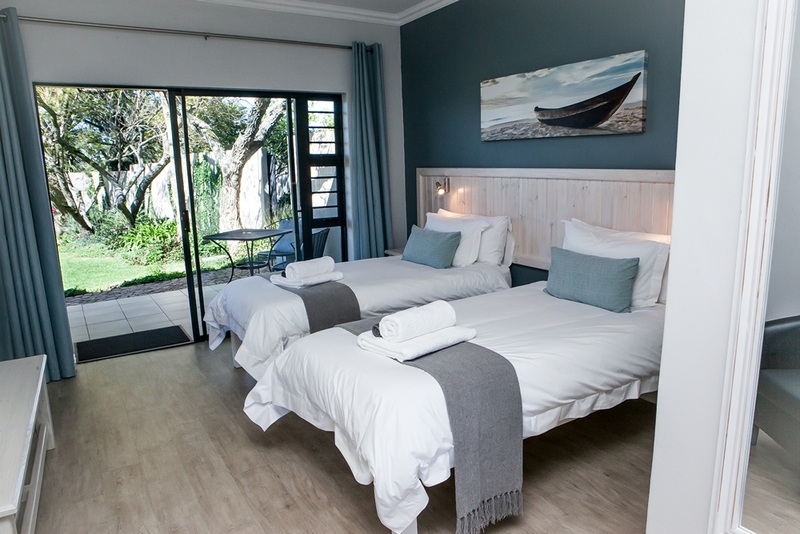 The cottage rooms are Twin/King bedded with a shower/toilet en suite. 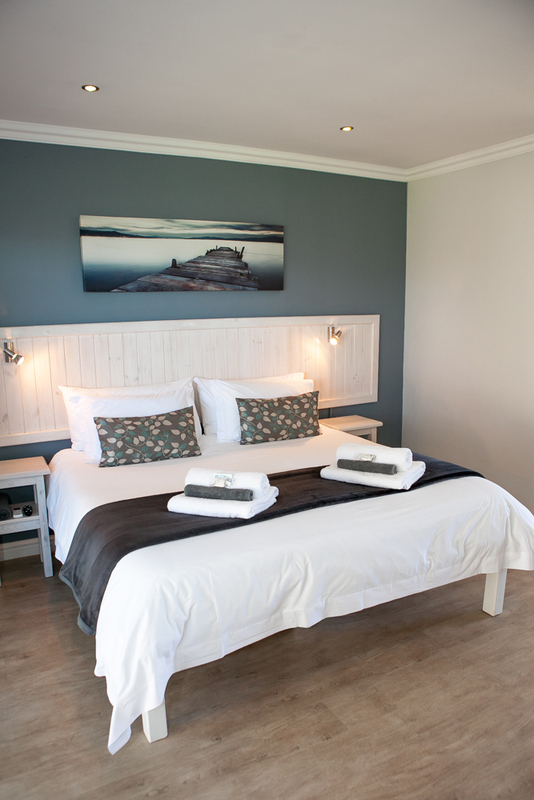 Rooms are equiped with hairdryers and aircons. 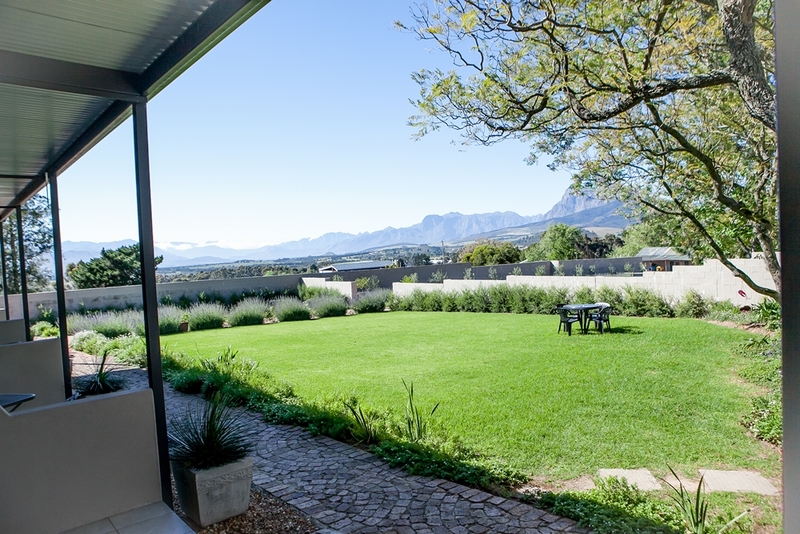 Enjoy a private covered patio area – braai facilities are available. 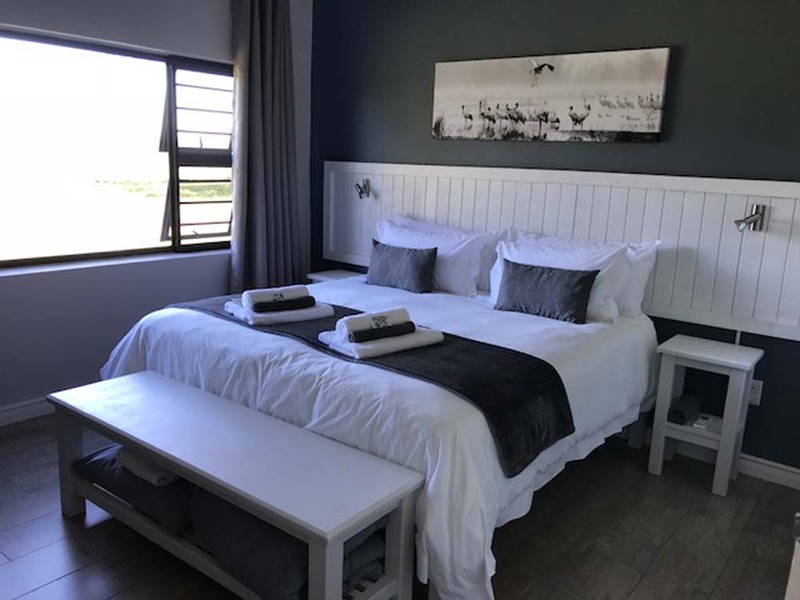 Long weekends, min 3 night stay. 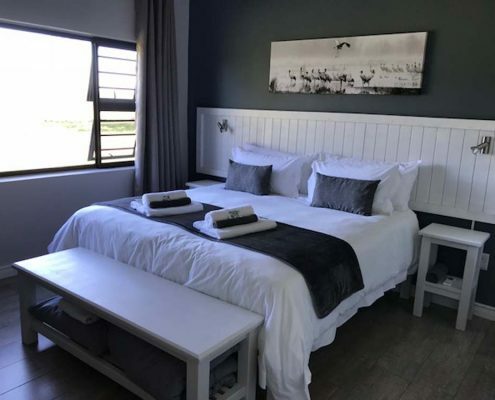 Easter weekends, min 4 night stay. 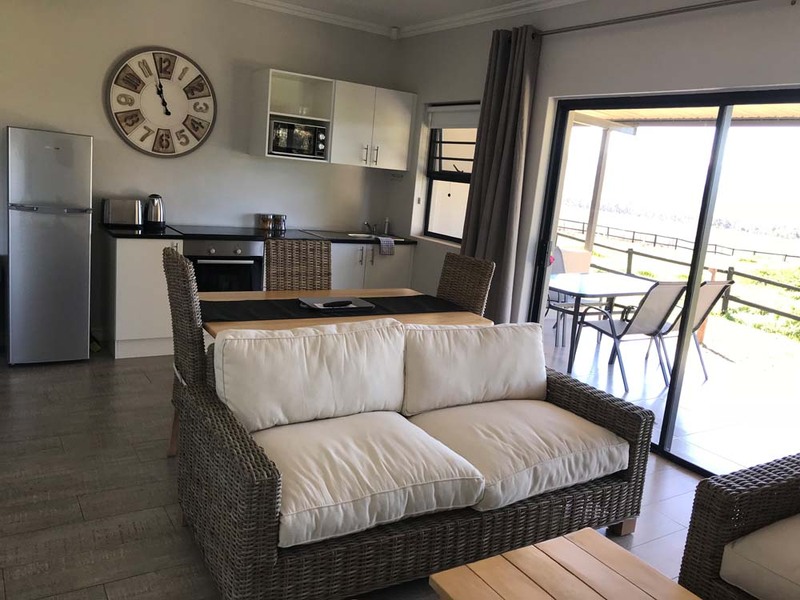 A 50% deposit will be required to confirm booking.